Congratulations, you’ve decided you want to study abroad in England! England has a unique and eccentric culture that is rich in tradition but has also made ground-breaking strides in diversification. The next question is, where will you go? 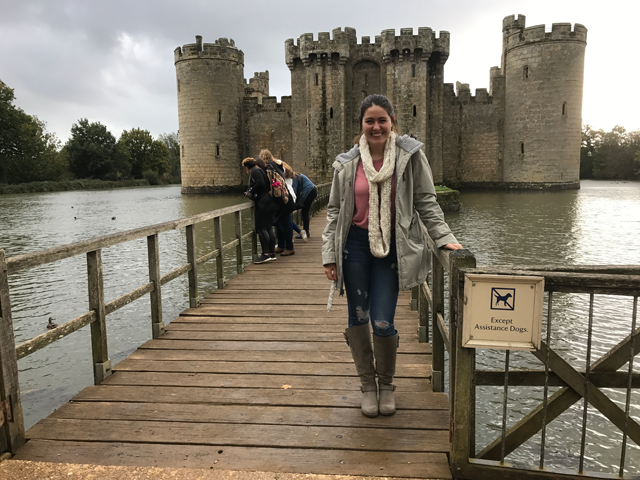 We know you’ve decided that England is the study abroad country for you, but with USAC you get to choose between four different program locations: Brighton, Bristol, London, and Reading. They’re all unique in their own way, so no matter what type of journey you’re looking for, one of them is sure to fit your needs. 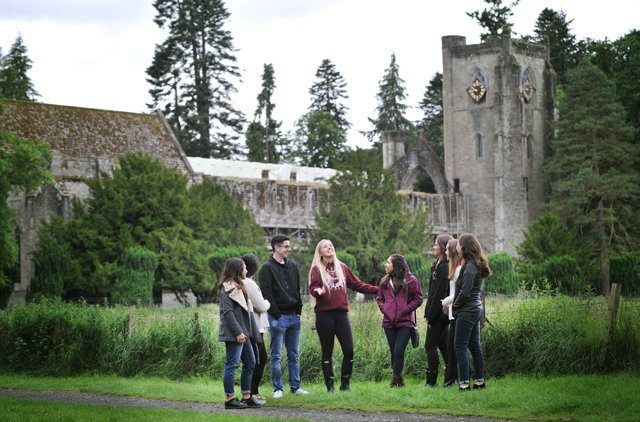 So let’s discover which USAC England program is the right one for you! Brighton is a cosmopolitan city located on the southern coast of England and often referred to as “London-by-the-Sea”. This upbeat seaside city is centrally located with easy access to London and rest of Europe. This city is full of activities year round and boasts a lively bohemian feel. 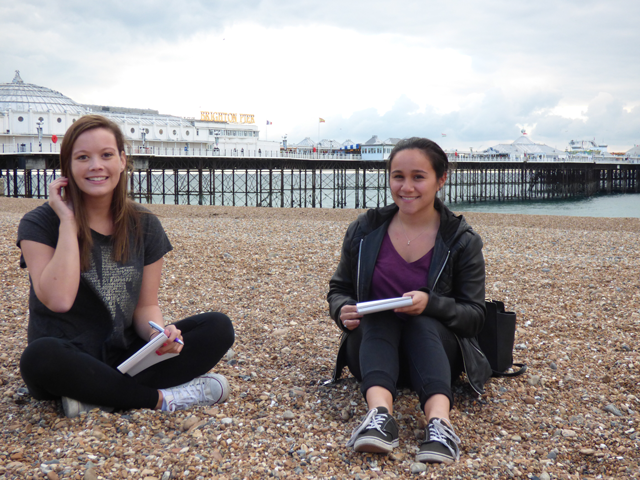 Brighton has many markets and stores and its boutiques, whole food shops, open-air cafés and buskers (street musicians) make it an enjoyable city to study abroad. This program is great for the student who is looking to be close to the water, easy and quick access to a metropolitan city, with lots of cafés and activities, but away from the popular destination of London. 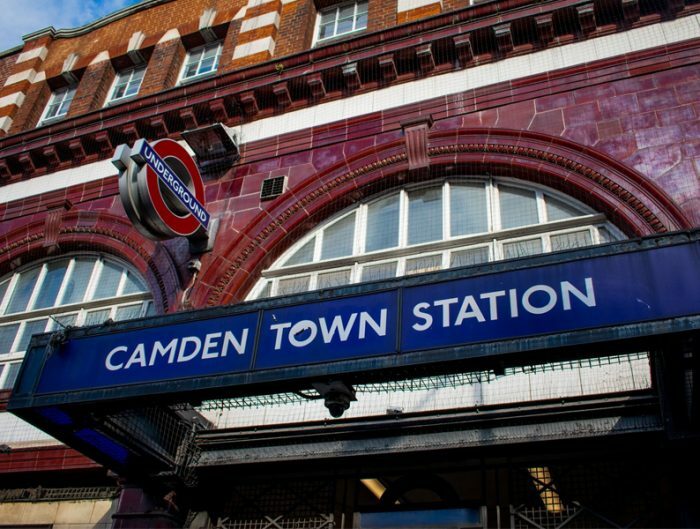 However, if you’re wanting to head into the capital you’re only a 1.5-hour train ride away. The University of Brighton lies between Brighton and the historic old hill town of Lewes and has campuses in Brighton, Falmer, and Eastbourne. 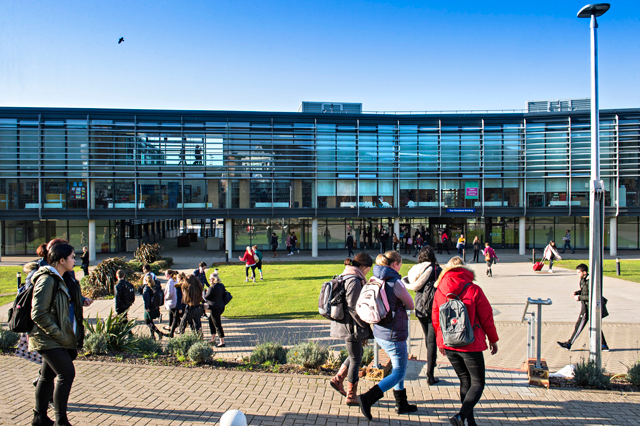 The Falmer campus has a newly built sports center equipped with studio space, gymnasium, cafe, fitness suite, dance studio tennis courts and football and rugby pitches. More than 22,000 students are on its campuses and the university attracts local and international students. 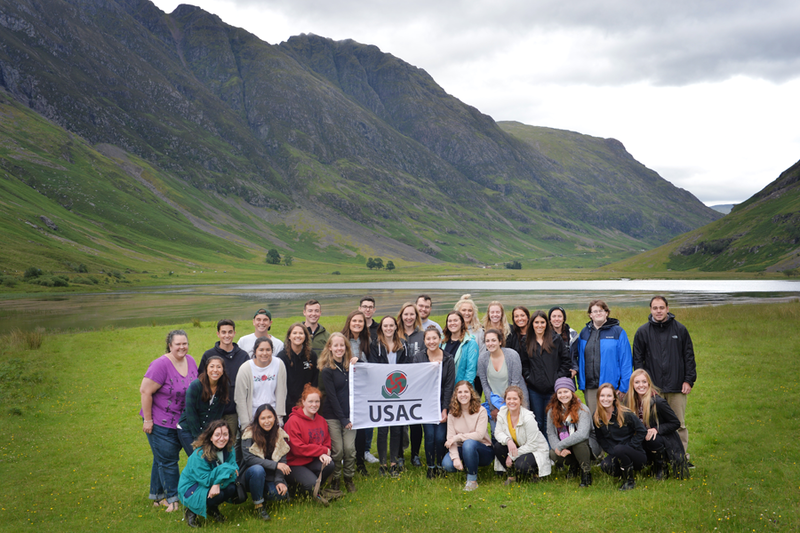 During the semester, the staff at the University of Brighton American Office will organize a variety of field trips for USAC students. They are optional, fun, and competitively priced. Common destinations include Bath and Stonehenge, Bodiam Castle, East Sussex, London, Oxford and Stratford-Upon-Avon, and Paris. Bristol is famous for its vibrant and very active culture, and fantastic music scene and street art. Bristol is the largest city in Southwest England and only about a 90-minute train ride from London. The city is filled with parks and gardens, a city center dating from the medieval times, and distinguished Georgian houses set in the hills. The harbor is filled with a collection of sailboats, yachts, and ships. Set on a hill, so you’ll get lots of exercise, the city is full of picturesque scenes of water and bridges. Bristol is the perfect program for the student who is interested in the arts but does not want to be located in London. 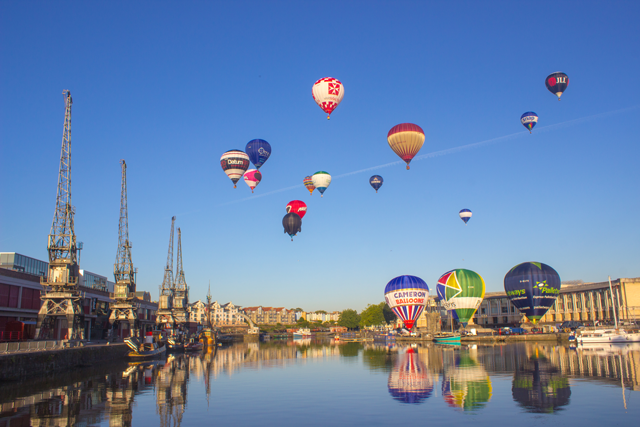 It’s also great for the outdoorsy student who will want to enjoy watching cricket at the County Ground, sailing in the harbor, rock climbing in the Avon Gorge and visiting historical cities that are located close by. 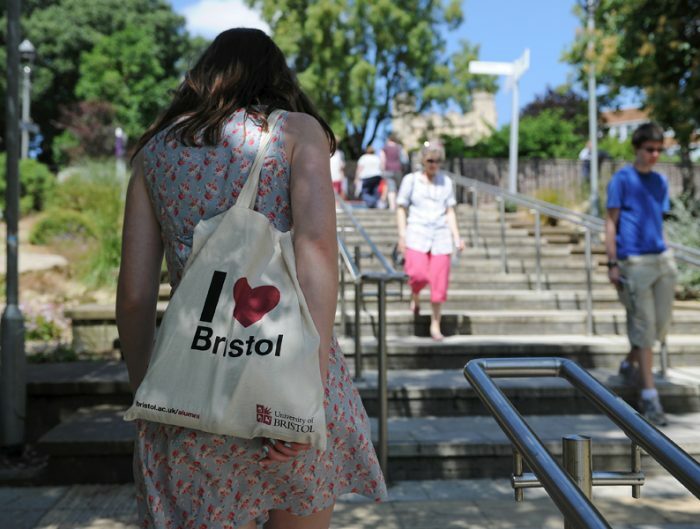 The University of Bristol is rated as one of the top ten universities in the world. It has it’s own unique character and is great for students who are ready to put in some work at academics because it is a very demanding university. The university is very well respected and buildings are spread throughout the city. The Student Union building houses a swimming pool, two theatres, a café, three bars, a games room, a launderette, music practice rooms, a pottery room, two photographic dark rooms, a radio station, two recording studios, a film production area with a computerized editing suite, a dance studio, and computers dedicated to student use. 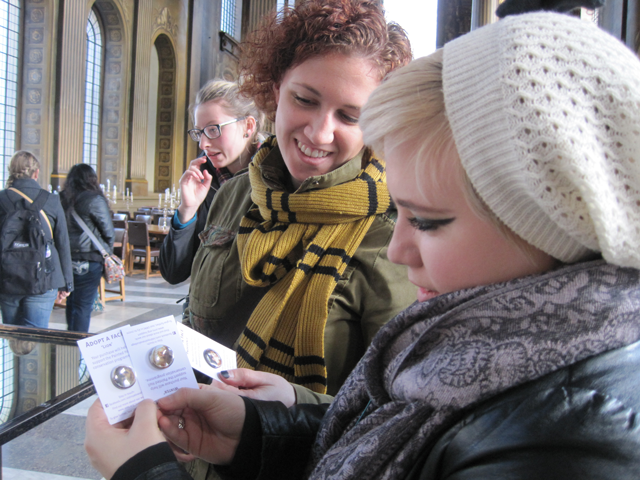 When you study in Bristol, the International Office offers field trips that are available to students. Destinations include Bath and Stonehenge, London, BBC Bristol Studios, Cardiff, a walking tour of Bristol and a tour of Welsch coal mine with former miners. Included in your program fees are the Bonfire Night Fireworks (fall only), USAC dinner, and an overnight field trip to London featuring a city tour and ride on the London Eye and Greenwich. Famous for its diversity, in London, you can meet people from all over the world, eat a variety of foods, and live in a city where there is always something new to see and do. 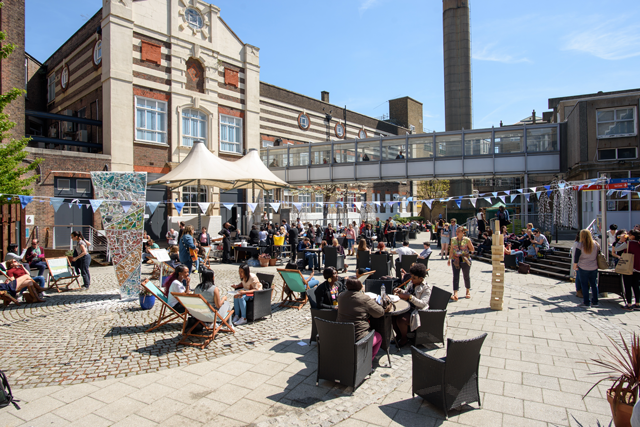 It is the theatre and art capital of England where you’ll always find a magnificent show to attend, museum exhibition to explore (many of which are free to the public), music concert or festival to listen to and art galleries to view. Of course, it’s also a great hub for traveling and connecting to other places in England. London is the perfect place for an adventurous student who will not get stressed by the hustle and bustle of a big metropolitan city with a lot to do and explore. When you study abroad in London through USAC you have the option of two different programs, London Summer and London Semester/Yearlong. You will attend a different university based on which term you choose to attend. During the semester/year, you will attend the London Metropolitan University. Although London is perfect for a student who is looking to always be doing something, you should also be prepared to work hard at school because the university is quite demanding. London Metropolitan University is in a very urban setting that is integrated into the fabric of the city. The main campus is seeing a lot of change with new shops, restaurants, and housing options. Courses for the summer program are located at Imperial College in the heart of London. 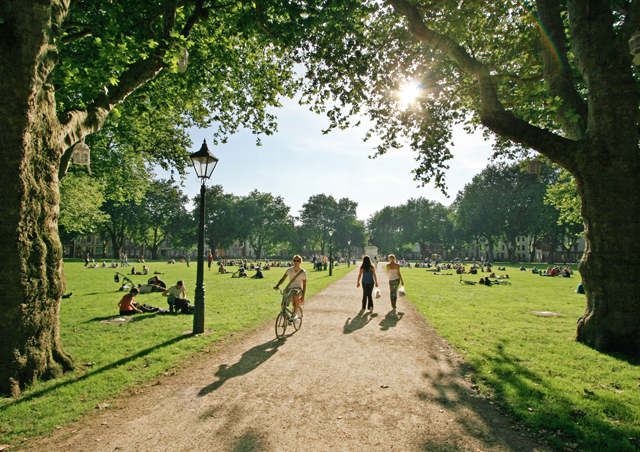 The campus is located next to Hyde Park and Kensington Gardens, as well as famous sites such as the Victoria, and Albert Museum, the Royal Albert Hall, the Natural History Museum, and the Science Museum, are all within walking distance. 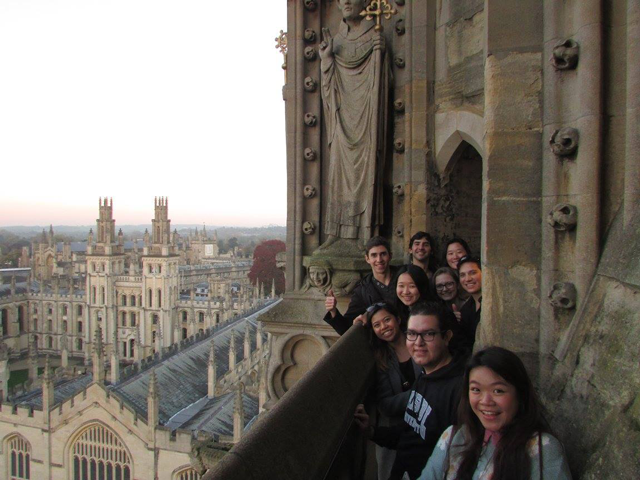 You’ll have the option to partake in a variety of field trips and optional tours when you study abroad in London for the summer, semester or year. 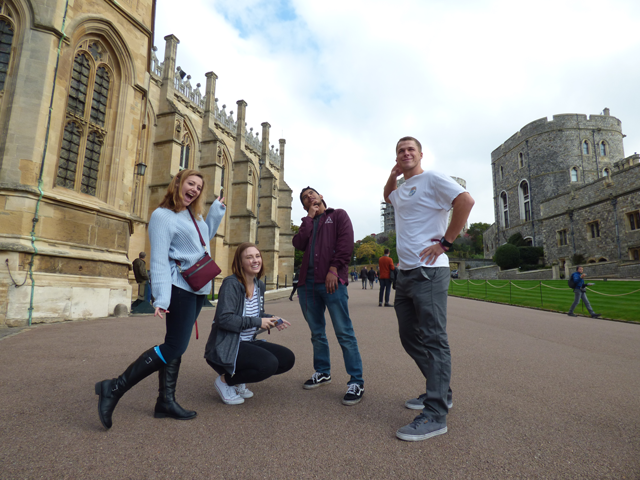 Examples of the semester and yearlong field trips include Bonfire Night Fireworks, Greenwich, Windsor, Stonehenge, and Oxford, Hampton Court Palace, and Stratford-Upon-Avon and Warwick Castle. In the summer, field trips vary from Oxford, Stonehenge and Bath, Hampton Court Palace, Parliament tour, a performance at the Globe Theatre, a cruise on the Thames, and a ride on the London Eye. You can also choose to partake in an optional five-day tour to Edinburgh, Scotland for an additional fee. Reading is a very friendly and lovely city that is a good starting point for field trips to visit the surrounding countryside. The city is a historic town located on the River Thames near both Oxford and London. You’ll be within 25 minutes of London but in a small, quaint city where you can ride your bike and experience more traditional English culture. Reading is best for a student who likes being close enough to hop on a train to London for the day/weekend but wants to live in a real English town that’s not as touristy or busy. It’s friendly and cozy, but still home to one of the world’s major music festivals and loaded with cafés, restaurants, galleries, and entertainment. A Championship Division football (soccer) club, Reading FC, and the London Irish Rugby squad both call Reading home. 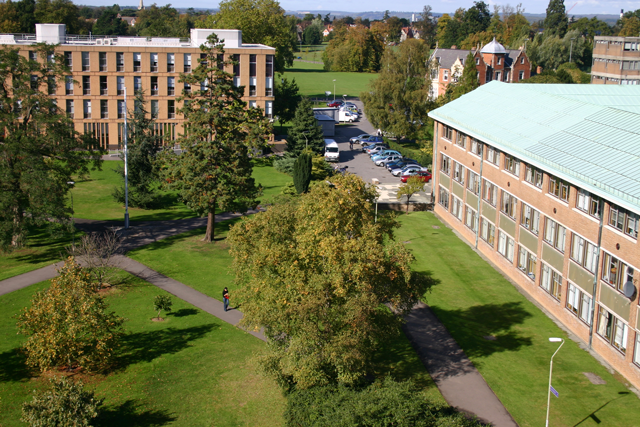 The University of Reading began as an extension of Oxford University and, in 1926, it was the only institution to gain university status between the two world wars. It is a cosmopolitan and global university with students from 141 different nationalities; of the 18,000 Reading students, one-third are from outside the UK. 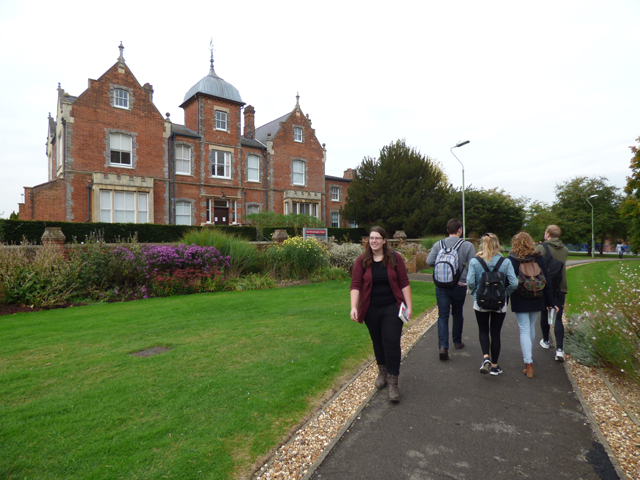 The University of Reading has an American-style campus with green pastures, which is not as common in Europe. Students live quite close to campus mostly in nearby housing. The university recently completed an extensive campus redevelopment program, including new halls of residence, a refurbished sports center, new catering hubs, training facilities, and a purpose-built facility for film, theatre, and television. This laid-back campus is preparing for a variety of future renovations to make it even more accommodating and appealing. Reading does not feature as many field trips as London but you’ll still get to enjoy the Bonfire Night Fireworks, a USAC dinner, and an overnight field trip to London, all included in the program fees. 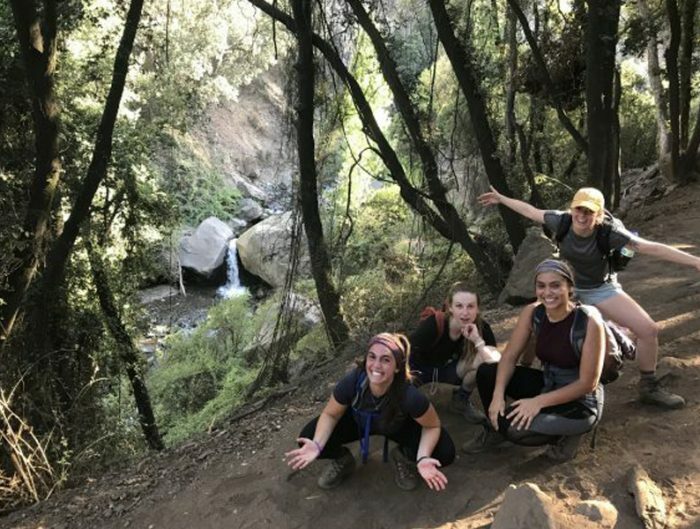 USAC is also working with the International Office to begin planning 3-day field trips to nearby cities and areas that will also be included in program fees. There is also an active study abroad community called the Erasmus Society. It is one of the most popular and vibrant societies at the university, winning best student society in 2009, and offers numerous events and opportunities to mingle with UK and study abroad students from all over the world. The society offers discounted trips with annual excursions to Bath, Brighton, Cardiff, Canterbury, Edinburgh, and Liverpool, as well as a guided tour around the Houses of Parliament. In a nutshell, if you’re looking to be in one of the most famous and busy cities in the world, head to London, if you’re hoping for a more laid-back study abroad experience consider Reading, and for an artsy, eclectic feel look into Bristol or for a Bohemian feel, Brighton. All four USAC England program locations will provide an authentic England experience. This is not the type of service we offer, I’m sorry. Do you have someone based in the UK who I could talk to about your UK study abroad options? If so can I have contact details eg name, email & phone number? 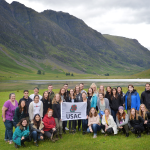 You can email studyabroad@usac.edu and they can answer your questions or put you in touch with someone in the UK if necessary. Thank you!